This variety is very true to its name, and had a distinct cinnamon aftertaste, although initially it very much resembles sweet basil, but with a cooler flavour. 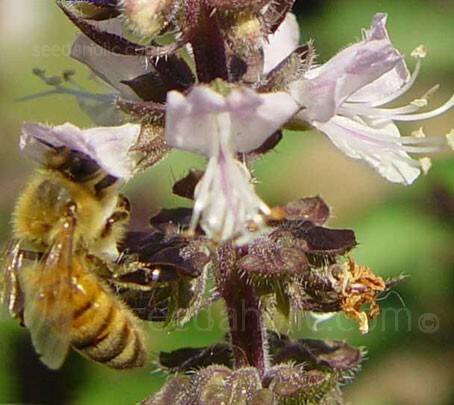 Use this herb just as you would use sweet basil. Basils are loaded with volatile oils, responsible for the heady aroma and strong flavour so essential to cooking. The composition of oils varies greatly in different basil types, thus accounting for the wide range of scents available. 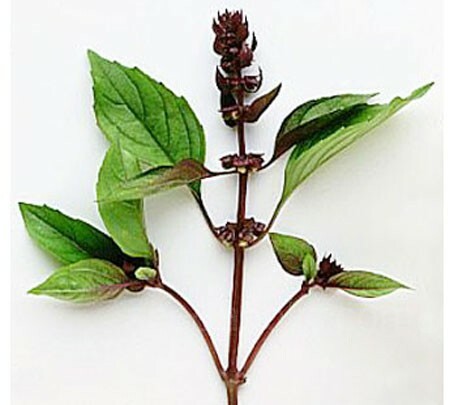 Pick the leaves and use fresh or dried in tomato dishes, pasta sauces, vegetables and soups.Cinnamon basil also makes a fantastic jelly and it makes a great addition to a fragrance garden. 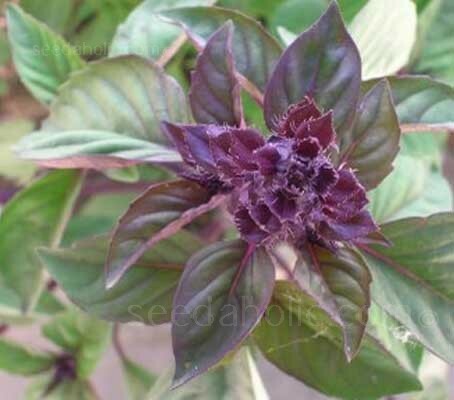 Cinnamon basil has attractive purple growing tips, pink flowers in summer enhance the ornamental appeal. It is a tall plant, growing to be 75cm (30”) tall in good soil. The sturdy stems are dark purple red, with dark green , cinnamon scented leaves growing up to 5cm (2in) long. Sow at any time if the plant is to be kept indoors. If sowing inside and planting outside, you can sow in late February. It is vital that Basil is not exposed to the last spring frosts so if sowing outside be patient and sow in late March.